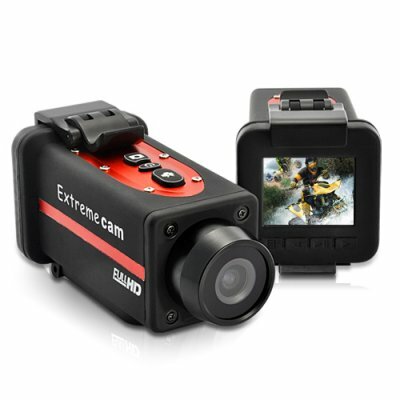 Successfully Added Crocolis HD - 1080P Full HD Extreme Sports Action Camera (Waterproof) to your Shopping Cart. The Crocolis HD - 1080P Full HD Extreme Sports Action Camera captures beautiful FULL HD 1080p (1920x1080) video. With amazing clarity, stability, and slow-motion capabilities, this camera records your sport most exciting moments in high quality HD video and high resolution 5 megapixel still photos. Even better, it utilizes a 170 degree wide-angle lens that delivers a true high quality image that captures all the action with minimal distortion. See full HD in all its glory. It 's Time To Take Action! It doesn’t matter if you’re riding pro already or simply want to become the next Haffey, Pastrana or White. If you are serious about your sport then the Crocolis HD is for you. Sure the Crocolis HD costs more, but it’s worth more. Order today at our direct from the factory price and we’ll express ship your order within 24 hours and back the Crocolis HD with our full one year warranty.